A United States’ (US) Sunday warning of possible attacks on three Abuja luxury hotels during the Sallah holidays was based on specific and credible information, an American diplomat said yesterday. Even though he did not want his name disclosed, the diplomat would not say where the information on the likely attacks by Boko Haram originated from. He however, said that the US Embassy had no choice, but to warn its citizens who frequent the hotels. The warning on the possible attacks was made on Sunday following the devastating attacks by the Islamist sect which claimed about 150 lives, last Friday and Saturday in Damaturu and Potiskum in Yobe State, as well as Maiduguri in Borno State. Security has been put on high alert in Abuja but no incident had occurred. Abuja was last hit in August, when a suicide bomber attacked UN headquarters, killing 24 people. “The current threat of attacks on the three hotels in Abuja is not news, and for over three months, the security services have taken pro-active measures to protect the designated critical facilities and others,” National Security Adviser (NSA), Gen. Andrew Azazi said in a statement on Monday. The US diplomat said the embassy did not consult with the Nigerian government before issuing the statement, which warned that hotels and other locations in Abuja could be targeted over the holidays. The embassy wanted to act as soon as possible to warn US citizens, the diplomat said. 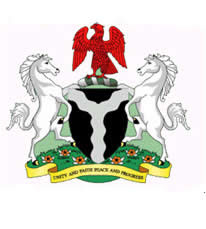 “Following the recent Boko Haram, attacks in Borno and Yobe states, the embassy has received information that Boko Haram may plan to attack several locations and hotels in Abuja, during the Sallah holidays,” the advisory said. “Potential targets may include the Nicon Luxury, the Sheraton Hotel, and the Transcorp Hilton Hotel.” Eid al-Adha was marked on Sunday, but Monday and Tuesday were also public holidays. The diplomat spoke of Boko Haram’s increasingly sophisticated and deadly attacks in Nigeria, Africa’s most populous nation and largest oil producer. “There has been intense speculation over whether the group has formed links with foreign extremists, such as Al-Qaeda’s North African branch. The diplomat said there have been signs of individual links, such as Boko Haram members seeking training in foreign countries, but there has been no proof of operational ties. While calling on Nigerians to go about their normal businesses without fear or hindrance, Gen Azazi also assured the public that the security agencies had put in place, adequate counter measures to secure lives and property.